With the May 24 weekend that is the unofficial kickoff to summer having just passed us by, many Ontarians likely had their first encounter with The Beer Store’s new digital approach to browsing beer brands and pricing information. Replacing the huge “beer wall” that has informed thirsty shoppers of in-store stock and prices for years are new Pricing Information Centres provided by Cineplex Digital Media. 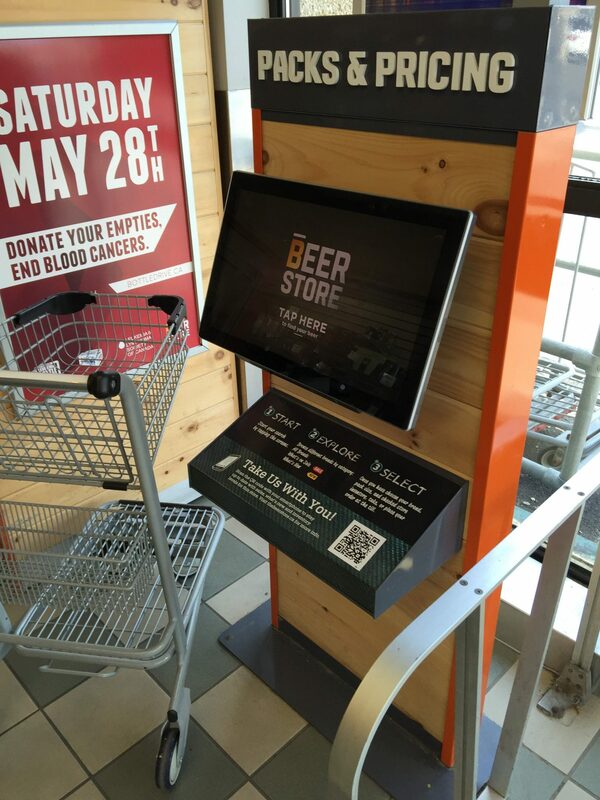 Found in the lobby area of The Beer Store, the freestanding kiosks feature a digital touchscreen that invites shoppers to browse through available inventory. It’s part of a three-year, $100 million plan to enhance the stores’ customer experience. The digital approach is also an answer to a new ownership structure put in place at The Beer Store in January 2015. As a result of the ownership structure opening up to allow Ontario-based brewers to buy shares, the number of different beers available at the provincial network of stores has increased to 648. “A static display just didn’t work very well, so we had to go digital,” says Bill Walker, a spokesperson for The Beer Store. By the middle of June, The Beer Store expects to have installed the new kiosks at 378 of its 447 stores across Ontario. It selected Cineplex to provide the displays after issuing an RFP for the project. Cineplex had a good reputation in the entertainment and advertising industry, Walker says, and provided a vision on how the displays could grow in the future. Plus, the business plan went down nice and smooth. The screens will pay for themselves because The Beer Store won’t have to develop, produce, and ship new paper signage to all of its stores. 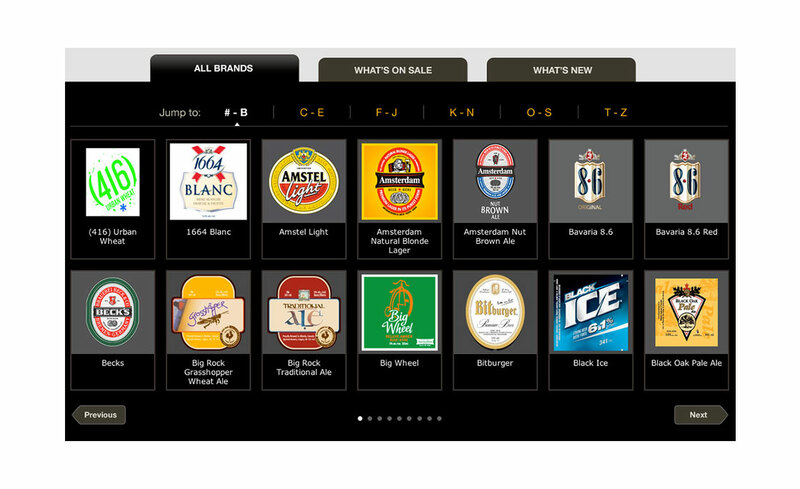 Instead, a back-end content management system is being used by The Beer Store’s corporate office to update inventory and pricing (which is set by the brewers). The head office exports an updated inventory record every night that updates the kiosks before opening in the morning. After that, store staff just have to plug in the devices and keep them clean. A store could have up to four kiosks, depending on the size of its lobby and how many shoppers it serves. The Beer Store also worked with Toronto-based Design Lab on the project, hiring it to develop the backend system used to update the kiosks.